Ben Affleck, Jennifer Garner Reconciliation: Ex-Couple Ignored Finalized Divorce and Worked Things Out While Co-Parenting? 'Boruto' Episode 104 Release Date, Spoilers: Mitsuki's New Kitten Leads to Opening of New Arc? 'One Piece' Episode 881 Release Date, Spoilers: Admiral Ryokugyu's Full Appearance to be Revealed in Anime? Park Shin Hye earned one more avid fanboy as EXO’s Chanyeol said that he was amazed by the actress’ acting skills while acting together in “Memories of the Alhambra.” The idol singer talked about his amazement via tvN’s “Life Bar” variety show where he appeared as a guest last month. Chanyeol went on to say that Park Shin Hye’s crying scenes were so real and that was when he realized how great her acting is. He said that Choi Tae Joon’s girlfriend really feels like she is an “acting machine." Plus, the idol also praised the actress for being so nice to him. Meanwhile, Park Shin Hye was interviewed on SBS’ “Night of Real Entertainment” and she was asked about her thoughts on her recent drama with Hyun Bin. She said that it is sad to part ways with the staff and actors with whom she worked with for seven months but it was a memorable experience for her. 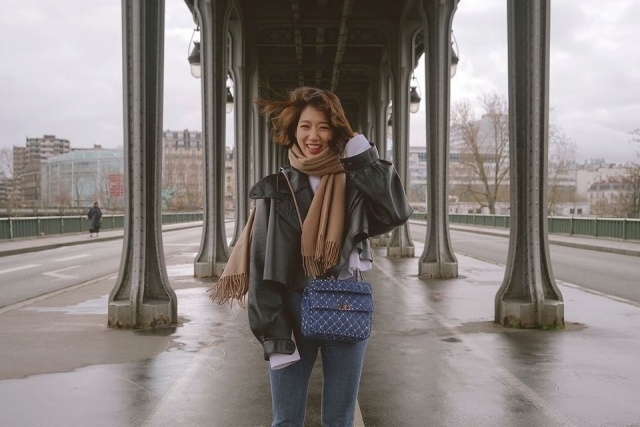 Park Shin Hye further shared that “Memories of Alhambra” is so far her most favorite role. She also mentioned the “Heirs” as her favorite but that was when she was still at that age group and now that she had matured and in her 30s (Korean age), she likes “Memories” more, Sports Chosun (via Soompi) reported.